These temperature control knobs can be used to regulate temperature in the house throughout the day. Using the control knobs helps you to save as much as 33 percent on heating costs and from 15 to 25 percent on cooling costs. Some advanced programmable thermostats can be switched back and forth between air conditioning and heating during seasonal transitions. Programmable thermostats care characterized by their digital interfaces. New models are usually mercury-free. You can set the thermostat to daily individual programs, work week and weekend programs and other options. 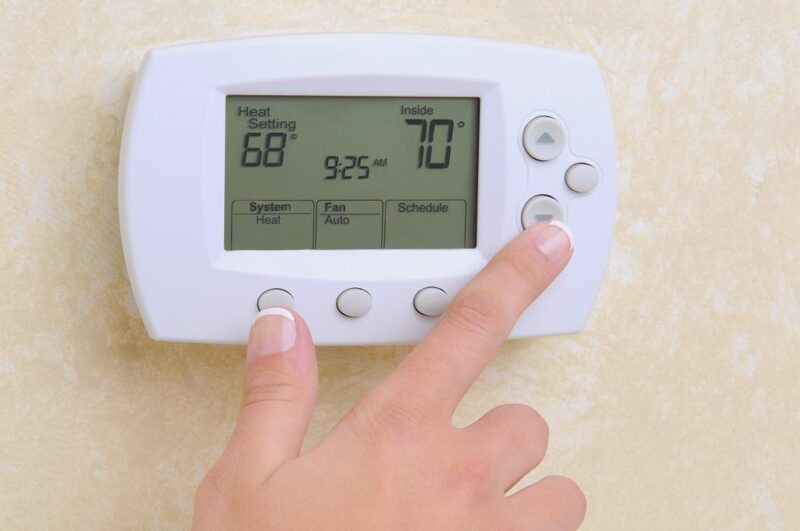 TIP: It is possible to manually override the program schedule that a thermostat may come with. These thermostats are also known as WiFi thermostats. The gadgets help to improve energy efficiency. Apart from this, you can use them to control the temperature of your smartphone, tablet or computer. Which Thermostat is Compatible with Your Home? Before choosing a thermostat, it is important to know whether it will be compatible with your home. To do this, find out whether your home is fitted with 1 Stage, 2 Stage, 24mV, Direct Line Voltage or Zone cooling and heating to determine whether the thermostat are compatible. Check the thermostat for the following label. Works with 2 Stage cool or heat. This thermostat should be used if you have separate air conditioning and heating units. Works with 2 Stage or multi-health cool or heat. This thermostat works for cooling or heating units that have low and high speed. Works with 24mV. This thermostat should be used with a wall furnace, floor or fireplace. Works with Direct Line Voltage. These thermostats are powered by either 110v or 240v direct current power source that is found in some homes. Zoned HVAC. This thermostat can be used to cool or heat individually controlled areas of the HVAC system.